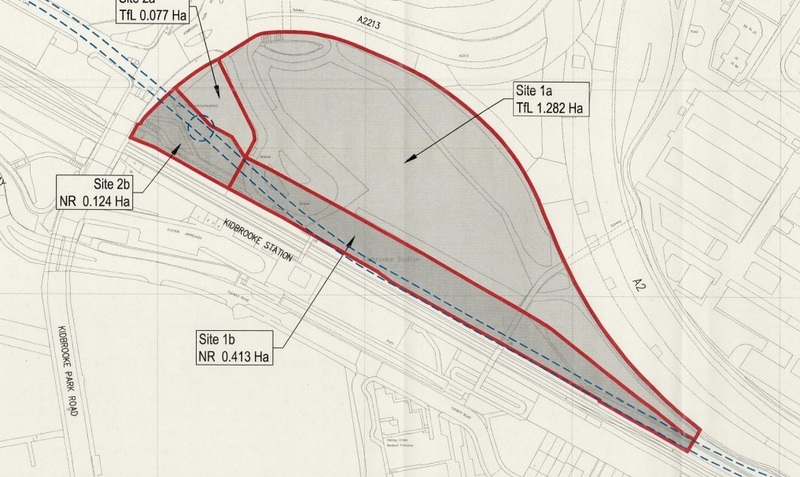 Transport for London have submitted a scoping report to Greenwich council for a development on the patch of land to the immediate north of Kidbrooke station. The plans, drawn up alongside Network Rail, would see up to 400 homes built. TfL and Network Rail are looking at building to similar heights as the recently approved Berkeley Homes tower shown above, which is just the other side of the railway station. This section of the 4200 home Ferrier estate rebuild is expected to begin sales soon. The station, which would sit between the two schemes, is currently undergoing a modest rebuild. Rapid passenger growth, at 19% last year, will likely continue with other stages of ‘Kidbrooke Village’ underway, such as 1518 homes at ‘Meridian Grove’, and 1311 at the ‘Blackheath quarter’ to the north east of the site. The screening opinion is only the very first stage of the planning process, and a starting point for discussions. Greenwich council could object to the height and numbers of homes, though I can’t see why. 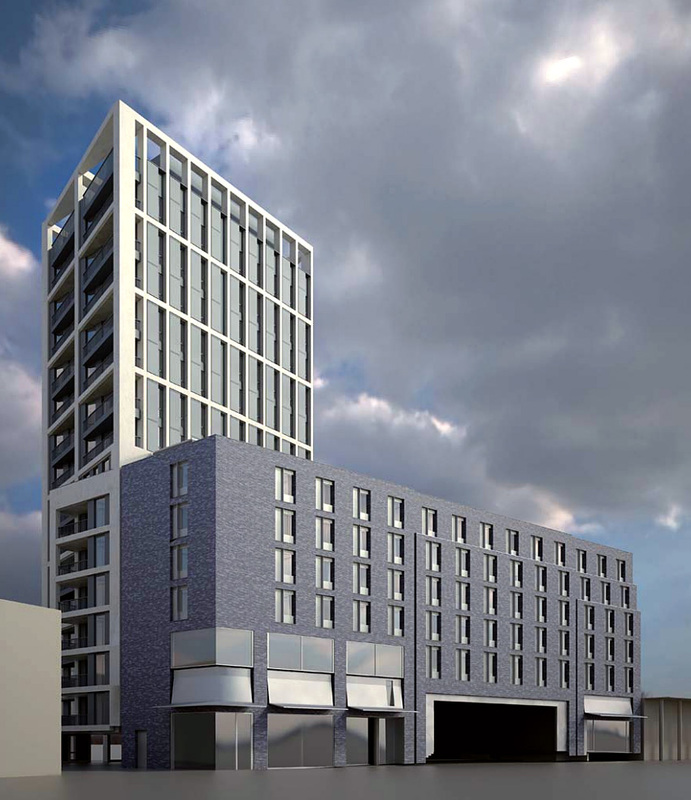 It seems a perfect spot for high density – near another tower, beside a station with quick links to central London, and with industrial units and vacant land for neighbours. But it requires central government ordering more trains for the area so infrastructure can cope. I’m glad to see TfL and Network Rail utilising the vacant land they hold at many stations across London. Unfortunately there are heavy restrictions on them developing directly, as is common abroad, and so have to sell or partner with private developers who are often in no rush to build. The still unbuilt scheme above Woolwich DLR station, almost 7 years after it was sold to Oakmayne, is a stark example of that. The Conservative government have resisted pressure to levy a charge on landbanking developers who don’t proceed with plans within a set time. 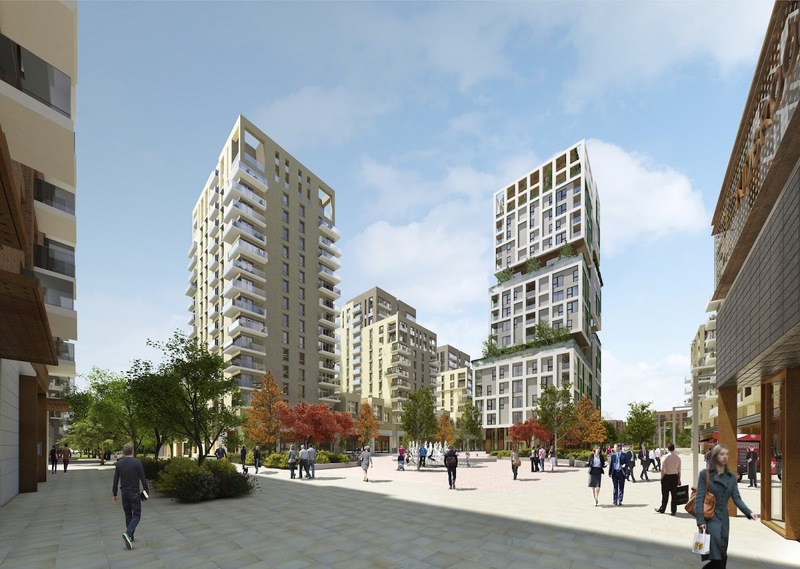 It’s likely that if approval is given at Kidbrooke, the site will then be sold to a developer, and it’s a case of hoping they actually start building to solve London’s housing crises. To see the application search 15/2507/EIA on Greenwich council’s planning page. What’s the blue line dashed line on the TfL/NR map of Kidbrooke Station Area? I think it’s services – possibly electricity supplies or sewers.